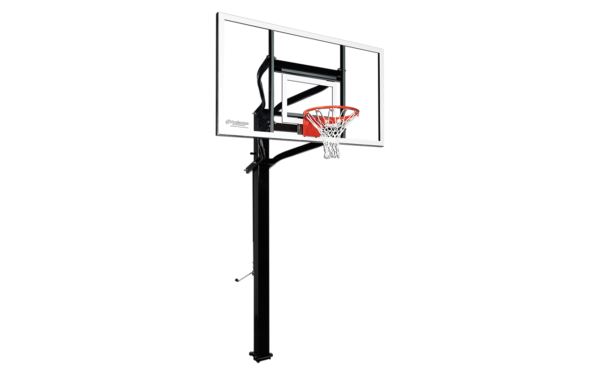 The Goalsetter X672 Glass in-ground basketball system makes a great addition to your home court with a regulation-size, 42-in x 72-in tempered glass backboard, a 6-in square steel pole and 4-ft of regulation play area. 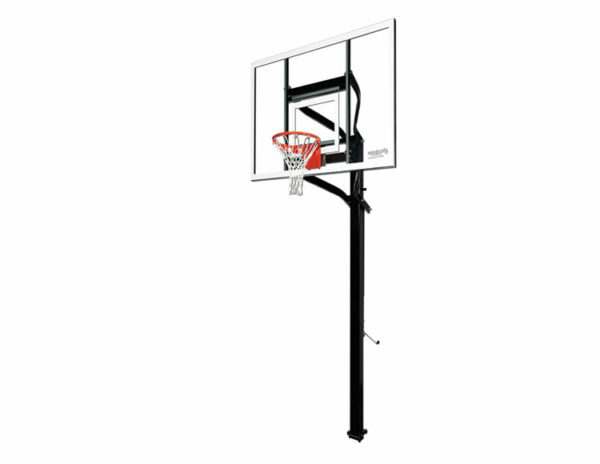 The straight-pole, tension jack design features die-formed extension arms, a ground anchor and a 90-degree adjustment handle. 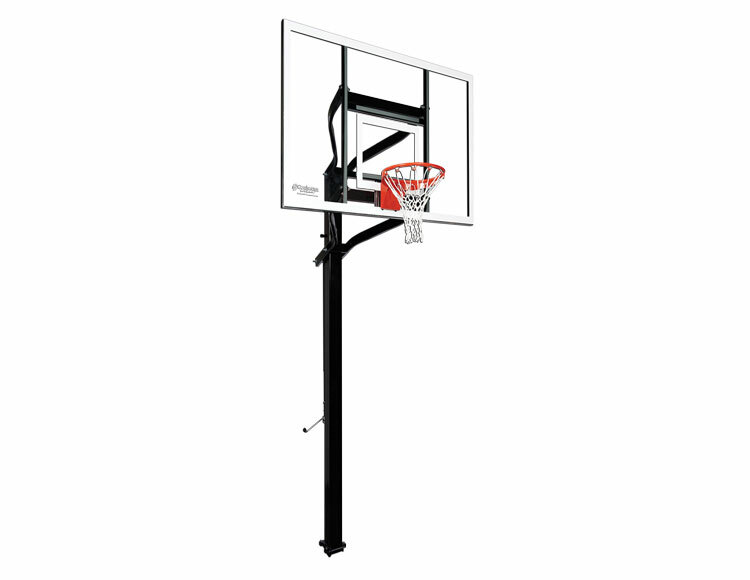 he Goalsetter X672 has all the features you want at a price you can afford. 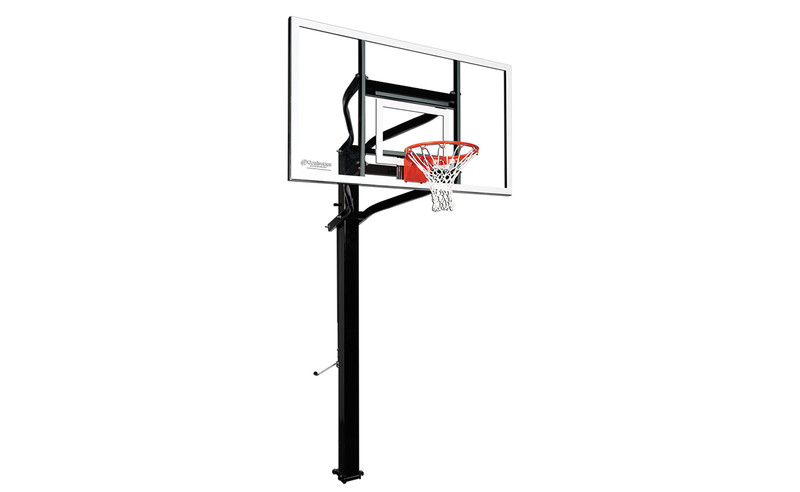 Complete with a competition tempered glass backboard, a 4-foot regulation play area, and die-formed extension arms, this set means your kids won’t want to play anywhere else! A patented ground anchor means simple installation and safe use, while a 90-degree adjustment handle makes it easy to accommodate players as they grow from middle school to high school and beyond.